How many of us have found ourselves counting our pennies before we could order food for dinner? Saving our quarters for the laundromat? Scraping by on Ramen Noodles and Spaghetti-Os? Heading home to mom's to do laundry so you could save money to hit the bar after class or work? Oh, so you're telling me that I'M the only one who has done that? Yeah. I don't buy it. You've been there, too, haven't you? And if you have? I've got a show for you. Hopefully by the time you get married, if you're not already, you'll be past this point. But in today's economy? Who knows? My husband and I were married 11 years ago in New York. He worked full time, I worked part time, went to school AND had an internship. Somehow I managed to do all of that in a week of five days. I worked 21 hours, went to school two lonnnggg nights each week AND interned three days a week. Stay with me, I know the math doesn't add up. Somehow we made it work. We budgeted while I balanced all three responsibilities. He traveled every other week for work and I stayed home, making meals of pasta and sauce and some cheese. I love that, don't get me wrong, but when you have to have it? To save your pennies? Yeah - it loses its *essence* - shall we say? Now, imagine a series of episodes where you can completely relate to a couple struggling to make ends meet, but who still stay connected and strong enough to find the joy and laughter in their day-to-day. 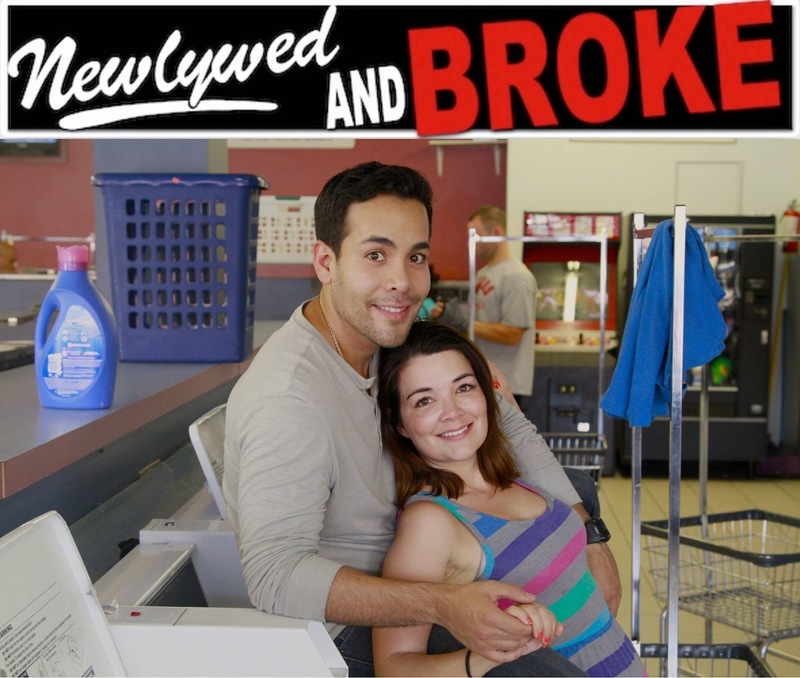 Newlywed and Broke that new single-camera comedy series that is working hard at raising funds to get itself made. Well, the comedy isn't working - YET - but the creators are! Primary creators and "characters" Reko and Kat have high hopes that their web series will get underway and they'll find themselves able to pitch to the big stations, like ABC, NBC, CBS and FOX. Then Newlywed and Broke will find themselves on your television sets, and not just your laptops and tablets. 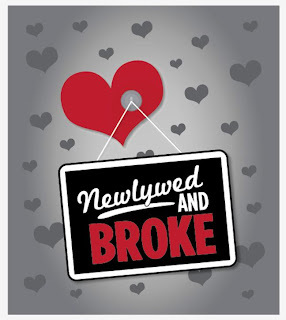 Currently the team is encouraging friends like you to look into contributing "broke tips" via the Newlywed and Broke facebook page, or over at Indiegogo, where you can bid to have one of your tips turned into an episode. Watch the video below for more info on that, and what the goals are for this project! What do you think? Does it make you laugh? Interest you at all? Then head on over to check out the available perks. Some of them seem a bit quirkily described, but dig in. You'll surely find that you have a single dollar to donate to receive a video from the Newlywed and Broke team via email and feel that you've been a part of something big! 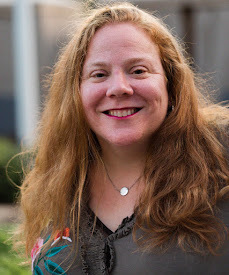 Find the rest of the information about this project and make a donation today over at Indiegogo's Newlywed and Broke campaign page. Oh! A huge positive about this campaign you'll want to know? The project is a sponsored project of Fractured Atlas, a non­-profit arts service organization. And contributions are tax­ deductible to the extent permitted by law. So, to sum it up, make an easy donation, support a fun series, AND get a tax deduction? How could you possibly lose? Check it out today! 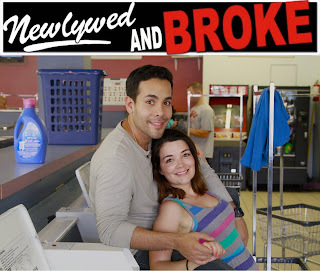 Newlywed and Broke. The series you won't want to miss. ** Disclaimer: As previously stated, I am a member of the Entertainment New Media Network. 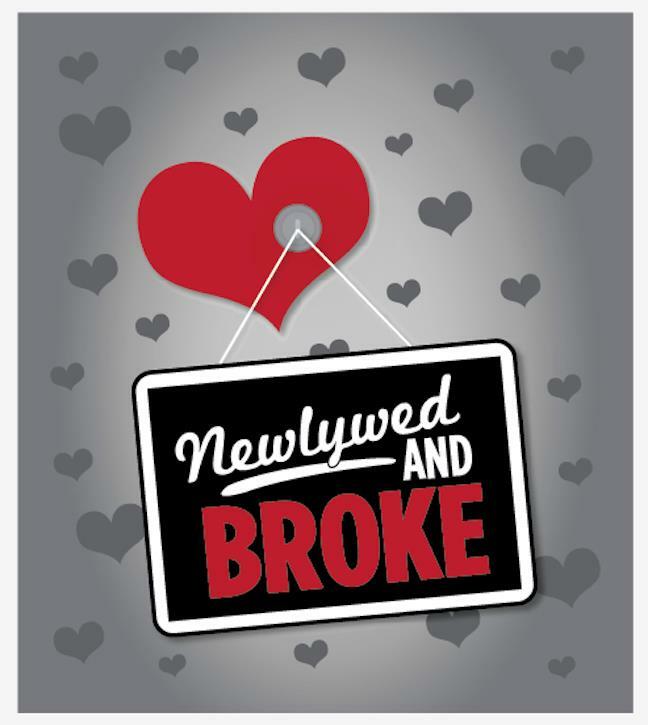 I am participating in a campaign to help promote Newlywed and Broke and I am receiving compensation for this post. All opinions and experiences discussed here are strictly my own. Information on Newlywed and Broke has been provided to me by the Entertainment New Media Network to help facilitate this post. If only it was called Married Seventeen Years and Still Broke. I could audition. 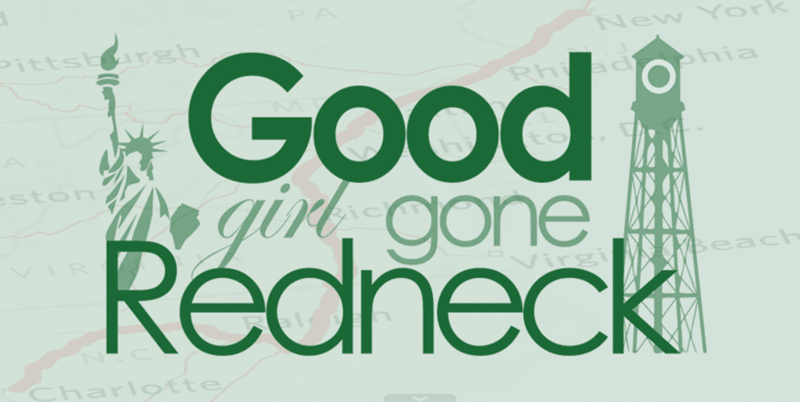 ;-) sounds like a neat show. I love Lisa idea. At my house it would be two people worked for 20 years and can't find job, because they have worked for too long.